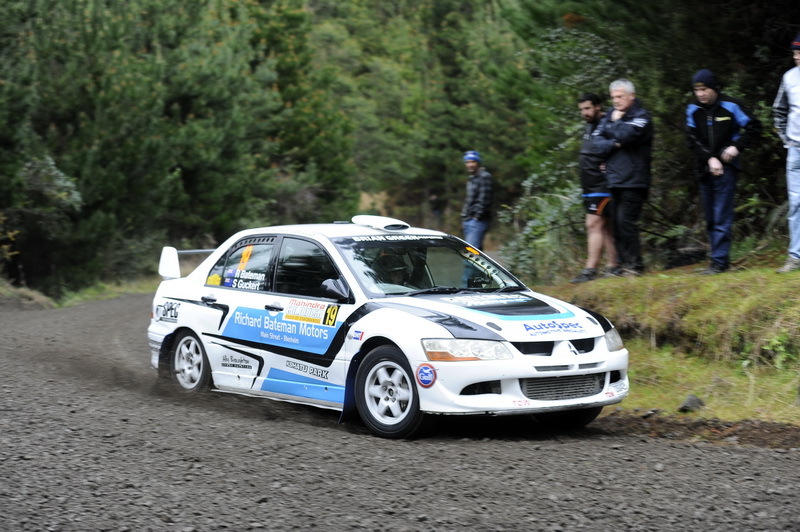 Currently holding a slender two point lead is Blenheim’s Richard Bateman and having wrapped up the Mainland Rally Series last weekend, carries good form into the event. The Blenheim driver however will have plenty of drivers looking to trump him at the season finale. In the best position to do so is Auckland rookie Tyler Radovan. Radovan has had a consistent season but needs to beat Bateman on the road to give himself the best chance of the title. Currently third in the title race is Darren Galbraith. The Timaru driver has been a dominant pace setter in the class over the 2015 season but has suffered from technical failures at two of the four events he has contested to date. To take the class title, Galbraith realistically needs to win the power stage as well as the rally and hope several drivers place between himself and both Radovan and Bateman. One such driver who could position himself between Galbraith and Bateman is Kingsley Jones. Like Galbraith, Jones has taken two round wins so far this season and looked likely to come into the final round with a comfortable lead until an unfortunate accident put him out of the previous round, meaning he now sits fifth and is relying on those ahead to strike trouble. Another driver who could benefit from misfortune for those ahead is fourth placed Hugh Spence. The experienced Gisborne driver has put together a solid string of finishes in his Subaru Impreza and more then capable of being on the podium come Saturday afternoon. In sixth place in the overall standings and the top two-wheel drive car in the Gull Rally Challenge 2WD category is the Toyota Starlet of Justin Glavish. Despite being the smallest and least powerful car in the class, Glavish’s committed driving style has seen him embarrass plenty of his more fancied opposition and at just 17 points off the lead, is still an outside chance for the title. The final driver with a mathematical chance of the title is another rookie in Jonathan Walker. A steady improver across the season, Walker has the potential to cause an upset amongst the more established front runners and could be a crucial piece in the championship puzzle. Although not in championship contention, the two-wheel drive Ford Escorts of Regan Ross and Anthony Jones are likely to be fast and if the can position themselves between the four-wheel drive cars in the field, can likely have an effect on the outcome of the title fight. Something that will be crucial for each of the teams to manage if they have any hopes of glory is pressure. Outside of Galbraith, who is the defending Gull Rally Challenge champion, and Spence, each of the drivers involved in the battle are competing in their first full championship challenge. With the margins so tight, the bonus points paid out for the power stage will be absolutely crucial in the title fight. For this event, the infamous North Road will offer up the bonus points and with its series of fast corners and an even faster tarmac section to finish, will reward committed driving. There is no doubt that this battle will be one to keep an eye on, with plenty on the line it is bound to go down to the final stage. 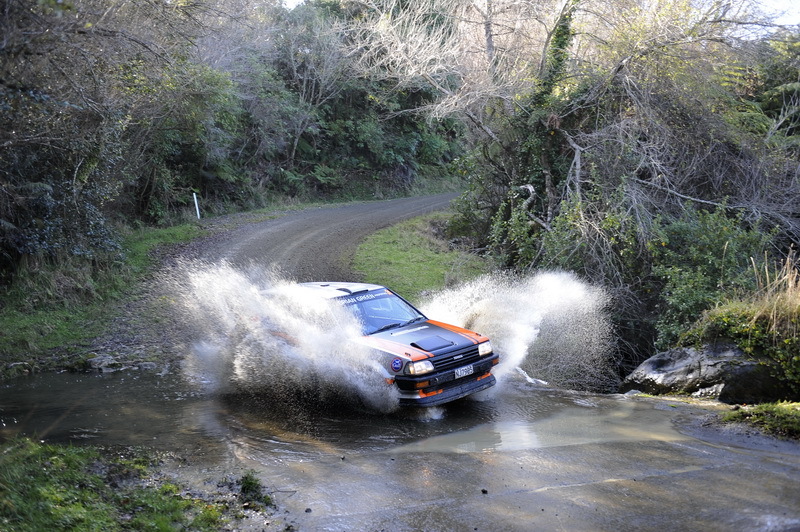 The Trusthouse RaceTech Rally Wairarapa starts from the small Manawatu community of Pohangina at 7.40am on Saturday morning. Four stages in the Manawatu area including the longest test, the infamous 31 kilometre Ridge Road test are completed before a further four stages in the Wairarapa district. A total of 156 kilometres of competition is covered before the victory celebrations will be held at the Copthorne Solway in Masterton from 4.00pm on Saturday afternoon.